No kids party, Corporate or College event is complete without Carnival Fun Food to tie everything together. After your guests have burned through their energy having fun, satisfy their hunger with these simple, tasty treats. 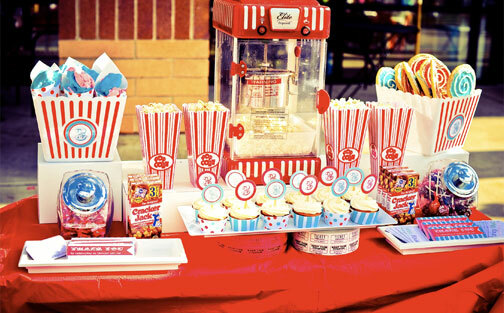 We can serve an array of traditional products: snow cones, popcorn, cotton candy etc. along with a fresh array of new and unique food items like our rolling Pucker Powder Machine and Movie Candy Cart… just like a real carnival midway!